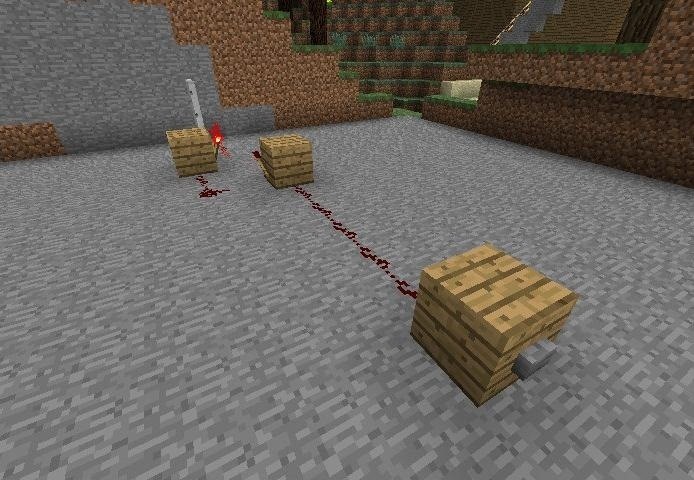 We've already done a tutorial explaining why buttons are superior to levers, but now I want to show you a way to make them even more useful than they already are. You can't get this sort of functionality with levers! A button only emits a one-second (or so) pulse of power. Well, say that you wanted more than just a second of power? Say you wanted two seconds, or even thirty seconds? Now you can have it! Now on to the tutorials! All of these are pretty easy, but this one is by far the easiest. Then add your switch wherever you'd like it. 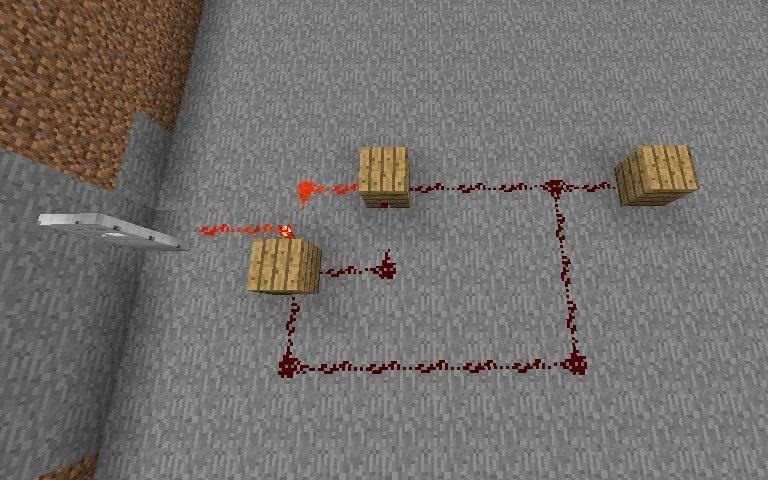 Bear in mind that the shape doesn't have to look exactly like this... You can curve it around if you'd like, so long as you maintain two distinct wires that connect at either end. 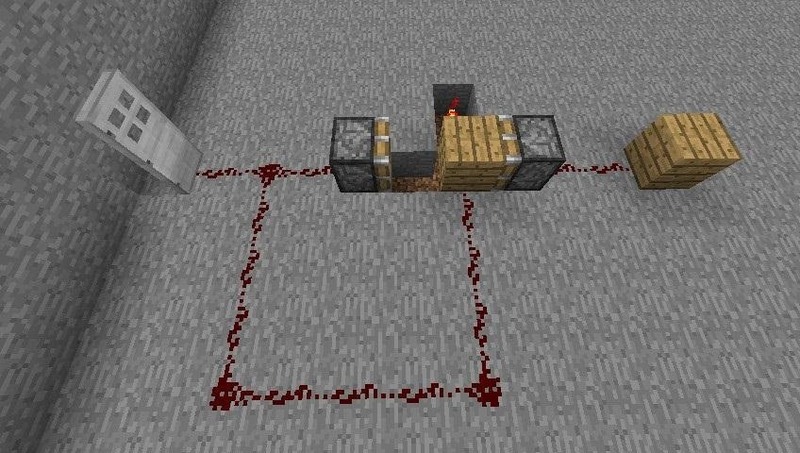 Once you've done that, all you need to do is add your repeaters, and you're done! 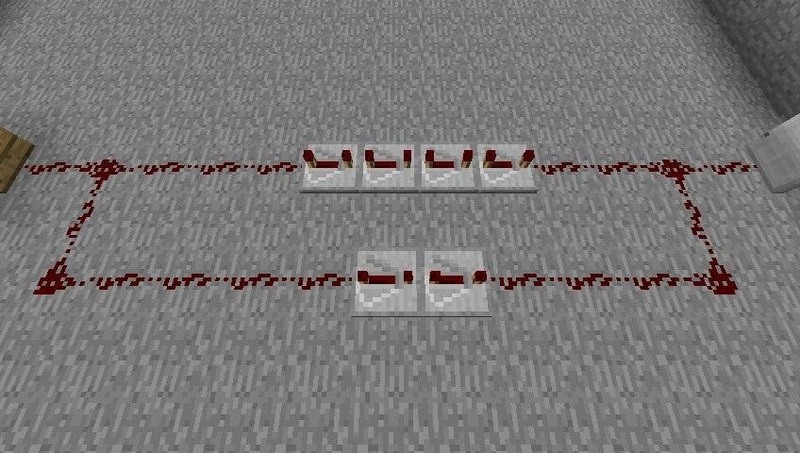 Make sure you add them to both sides to balance out the delay. That's really all there is to it. When I said this was the simplest, I really meant it! 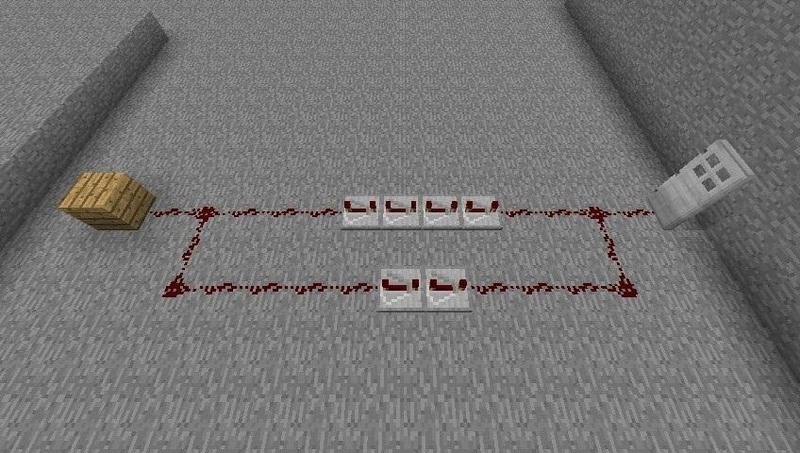 This version is the hardest of the set, because it involves pistons. 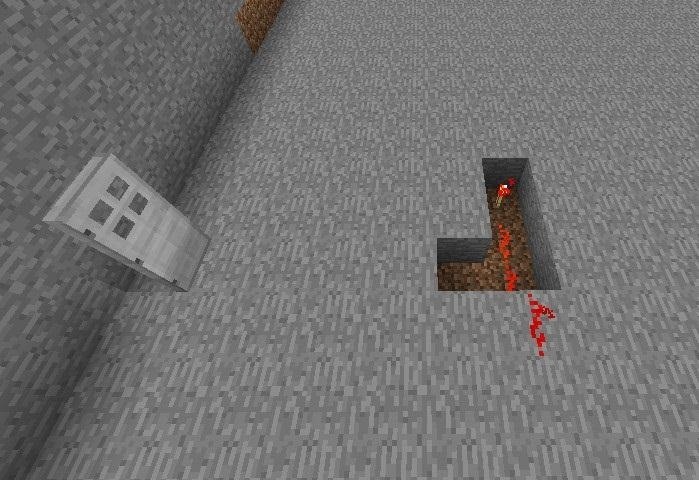 Once again, you want to start out with your door, and then a little ways away, dig an L-shaped hole. It should be two wide and three long. 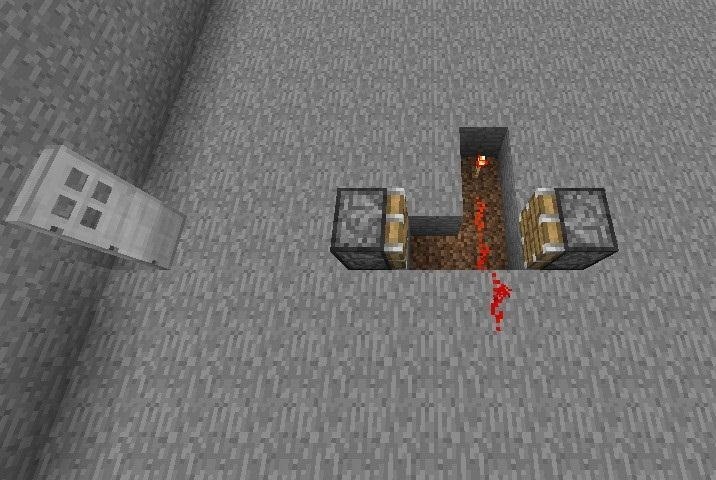 Inside the L, add a redstone torch at the far end, and add some wire leading out of it. 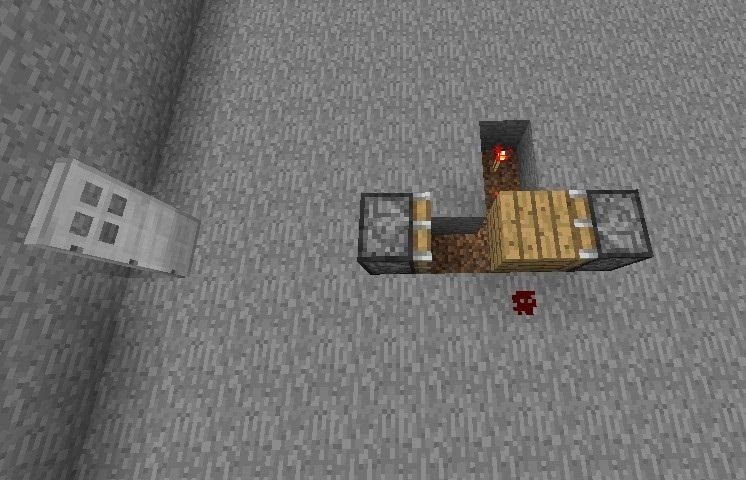 Then add a piston (not a sticky piston) on opposite ends of the bottom of the L, facing each other. 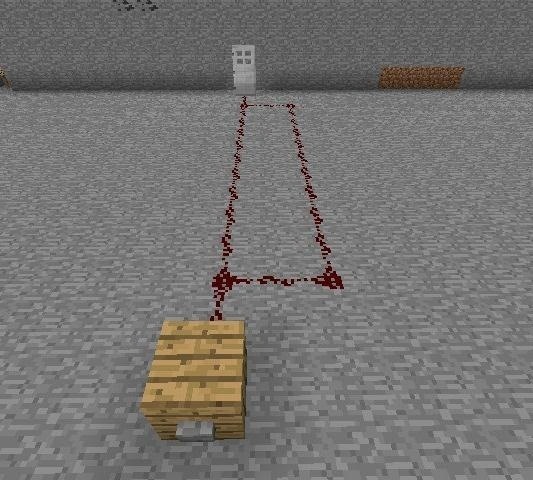 Then put a block between them. 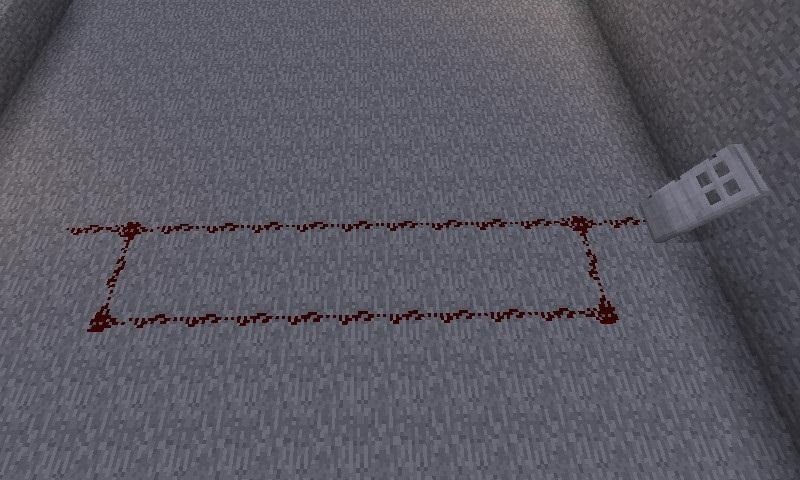 Just one block. 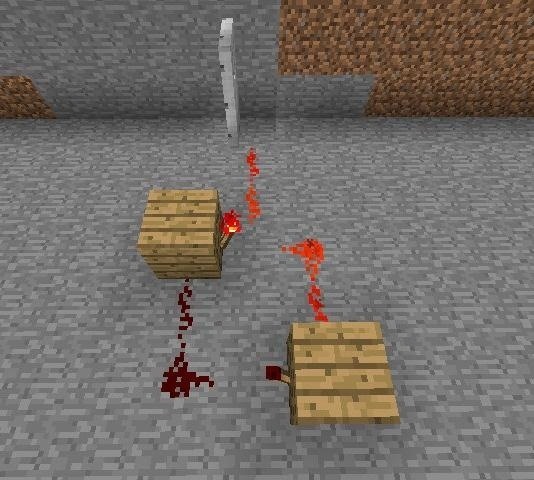 Now connect your button to the rear piston. 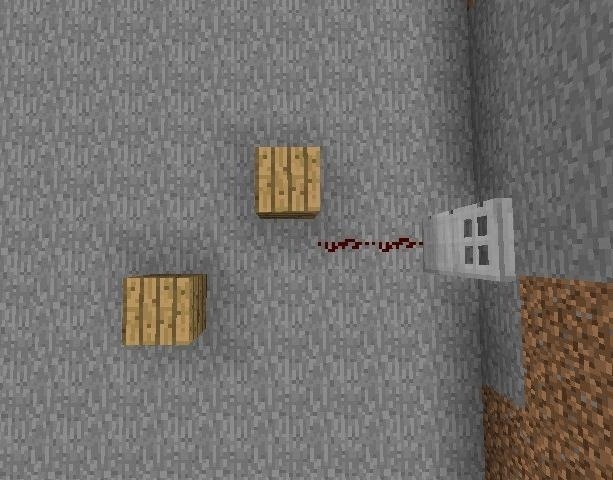 Now connect the redstone wire coming out of your L-shape hole to the door, and to the rear piston. Add your repeaters in that loop, and you're done! You can add as many as you like. Now on to the final (and my favorite) design! This one is of medium difficulty, but is my favorite because it's the fastest to activate and is the most reliable. Start with your door, then add two blocks of any variety directly below it, diagonally across from each other, with a space in-between. 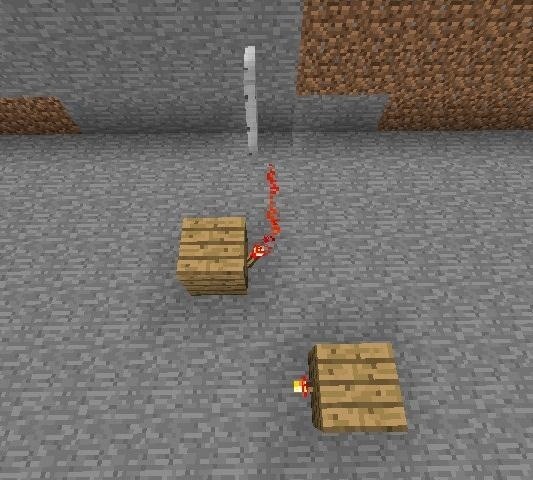 Add torches to the blocks, facing inward, and then wire them together. 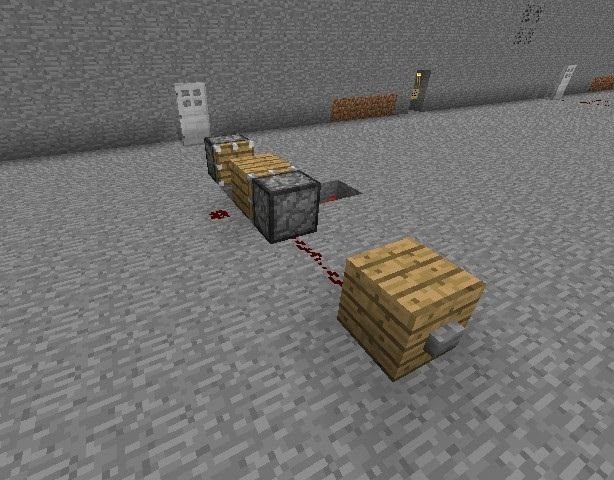 Congratulations, you've created an RS NOR latch! Wasn't that easy? 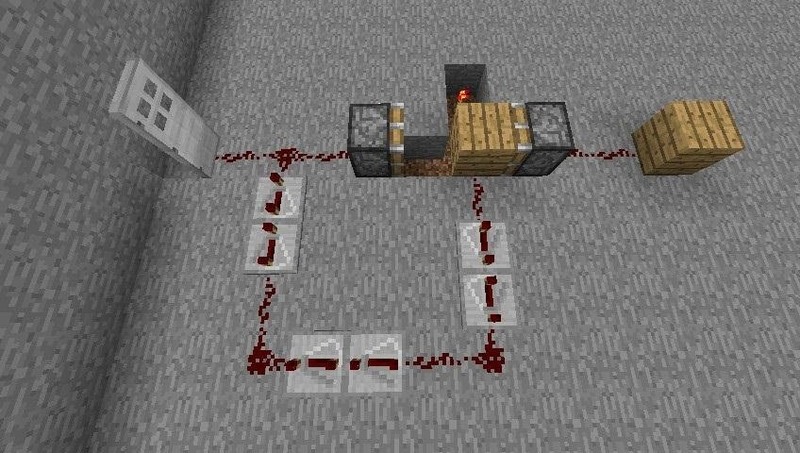 Now connect the rear block to your button. The last step is to add your repeaters, and then you're done! 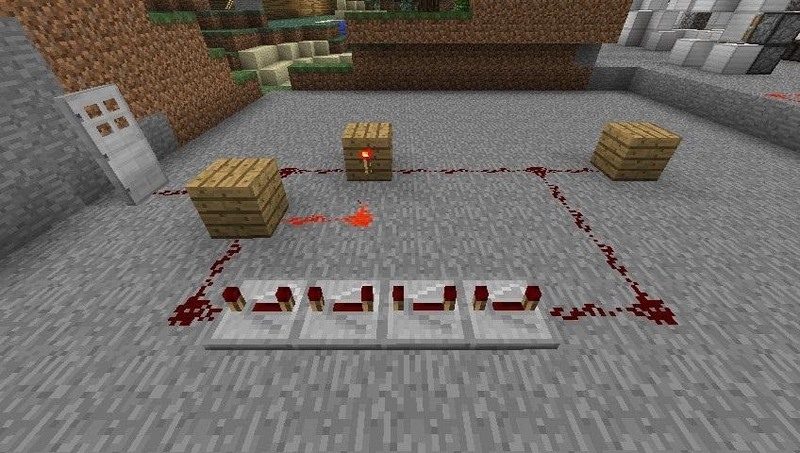 Now you have three different designs that you can use to sustain your redstone pulses from buttons or pressure plates! Thank you. That third type was exactly the sort of system i wanted.